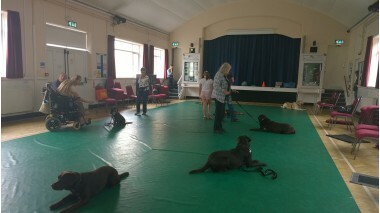 We offer small group puppy and dog training classes, puppy life skills and dog behaviour counselling. We offer Kennel Club Good Citizens training and tests. We are qualified and use only force free methods. We are members of the APDT UK, ABTC, CAPBT. Dog Problem? No Problem! Friendly, compassionate and knowledgable , no one was put under any pressure, dogs were allowed to make choices, that along side the calm atmosphere supports the learning that is taking place. Owners and dogs are supported and aided to build a relationship with each other , which further enhances the learning.